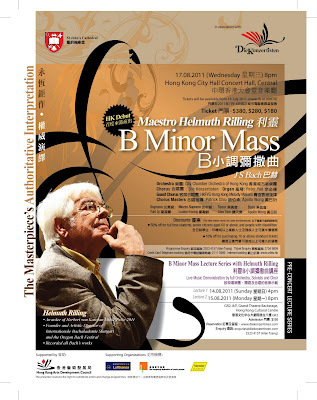 We are pleased to announce our big summer project: Bach's B Minor Mass! 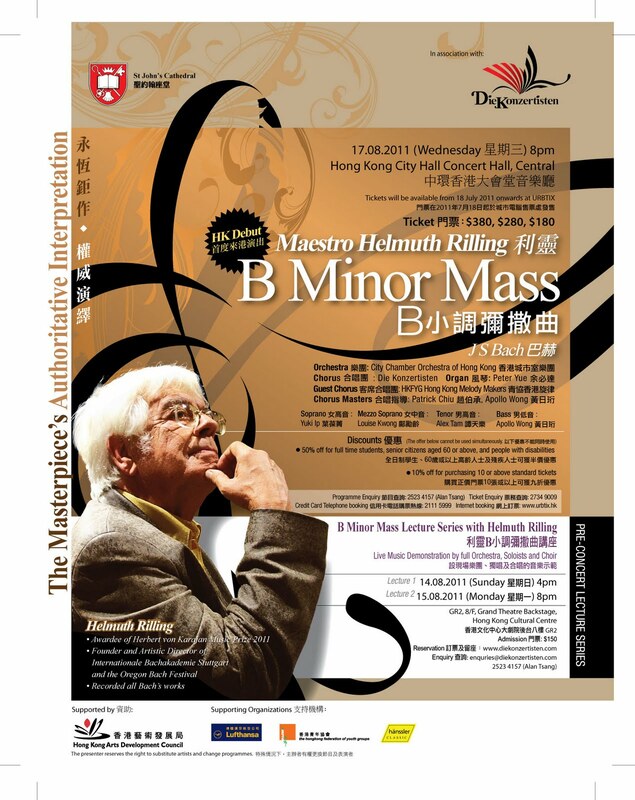 On August 17, the Hong Kong Melody Makers will join Die Konzertisten and the City Chamber Orchestra of Hong Kong in the Hong Kong City Hall Concert Hall to perform Bach’s masterpiece under the baton of maestro Helmuth Rilling, internationally known German choral conductor and respected Bach scholar. Tickets will be on sale at URBTIX outlets starting July 18. Don't miss this chance to hear the authorative interpretation of this Bach masterpiece!